We’re big fans of video-streaming site Hulu—heck, we gave it an Eddy Award last year—but if there’s one area in which the service sometimes falls short, it’s the selection. Sure, there’s plenty of content from NBC, FOX, and all their adorable little netlets, but that’s because each of those companies owns a substantial stake of Hulu. But what about those other major networks, like CBS and ABC? Well, Hulu and CBS had a falling out earlier in the year that resulted in Hulu pulling all of its content from CBS’s re-launched TV.com streaming site, so it looks like that relationship isn’t exactly rosy. 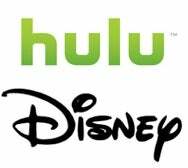 But, now we’re hearing reports that ABC-owner Disney is in talks to take a stake of Hulu in return for a content deal. The addition of Disney-owned content, which could include shows from ABC as well as the company's other properties like ESPN and the Disney Channel, would be a substantial coup for Hulu. Right now, streaming is still an incredibly fractured market, with most content providers distributing via their own sites, meaning that the average consumer has to spend time trying to find the show they want to watch and dealing with all the different idiosyncracies of each network’s software. Were Disney to come onboard, CBS and its properties (like the CW) would be the last remaining holdout, which might help convince it to join up as well. At that point, Hulu would pose a reasonable competitor to buying TV content from iTunes. However, Disney’s participation doesn’t appear to be a done deal yet, and it’s worth remembering that Steve Jobs is a member of Disney’s board of directors and its single largest shareholder, which puts an interesting spin on things. From my perspective, a one-stop shop for watching ad-supported TV shows online is a great thing for consumers, as long as Hulu continues along the path it's been traveling so far, which is to make it easy for users to watch shows without bombarding them with scads of loud, obnoxious advertisements.